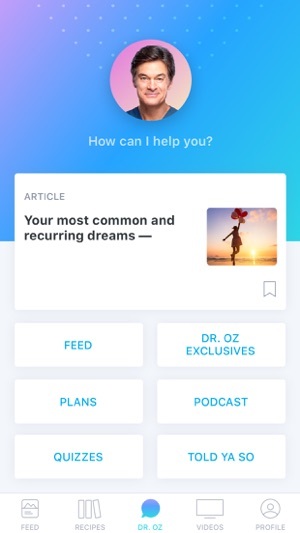 Official app of America's Dr. 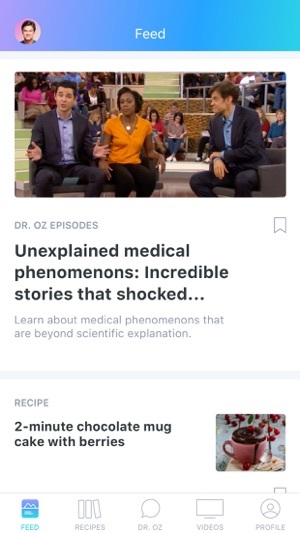 This is the new and improved official Dr. Oz app, powered by Sharecare, and optimized for iOS 11.2 and the iPhone X. You can now get exclusive video content, daily episodes and even more recipes to help drive your healthy lifestyle. 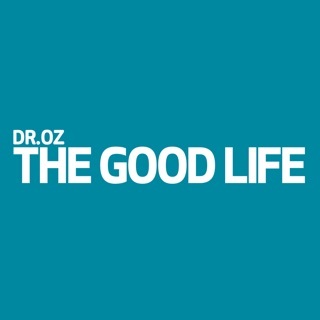 Try the customized health plans from the Dr. Oz Show to help manage and improve your wellbeing. Dr. Oz has created a tool to help you become your best you. 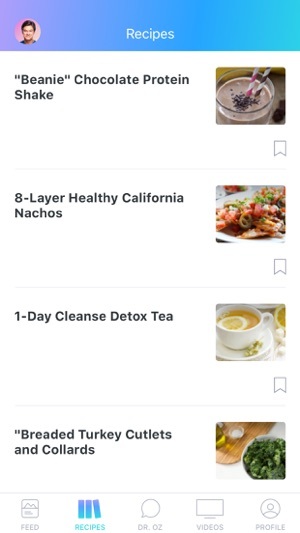 With our newest feature, called the Feed, you’ll see a daily list of health topics given to you in the form of episode clips, articles, recipes, slideshows and quizzes. You can also find tips to feel younger, catch up on clips from the show, and most importantly, get a custom health plan that fits your needs. Get access to special video segments that you won’t find on the television show, from categories like Celebrities, Fitness, Nutrition and Recipes. 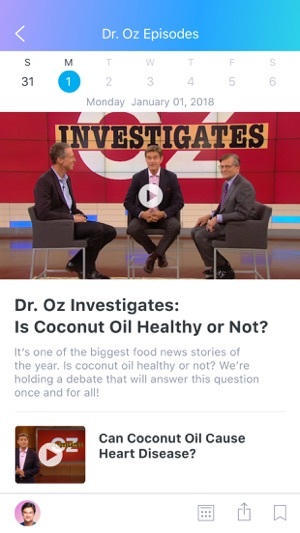 Vote who you side with - Lisa or Dr. Oz as they bust the most popular health myths. 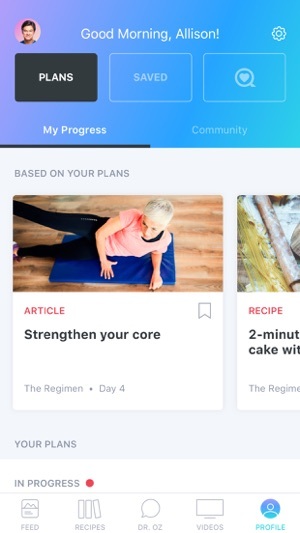 Integrated with Apple's Health app allowing you to import your health information to make it easier for you to take the RealAge test. The best part is that the more you interact with the app, the better the results. 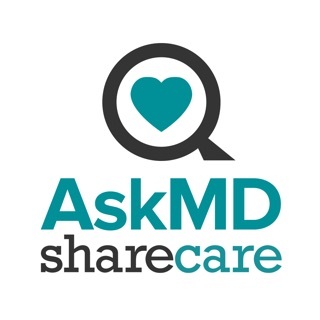 Come back for personalized recommendations and tips, the latest health trends and smart shopping strategies. Please listen to your Dr. Your nervous system is divided into two sections; The autonomic, which is responsible for uncontrollable movements. While your somatic is the viceversa of the autonomic. Your brain cannot fix anything if you do not put in effort to sustain your life. This version is so much better than the last one. I love the new feed and all the video clips. Recipes look better too. Thank you!!! Very informative content that is well organized and easily accessible. Great layout and compatibility with my iPhone.